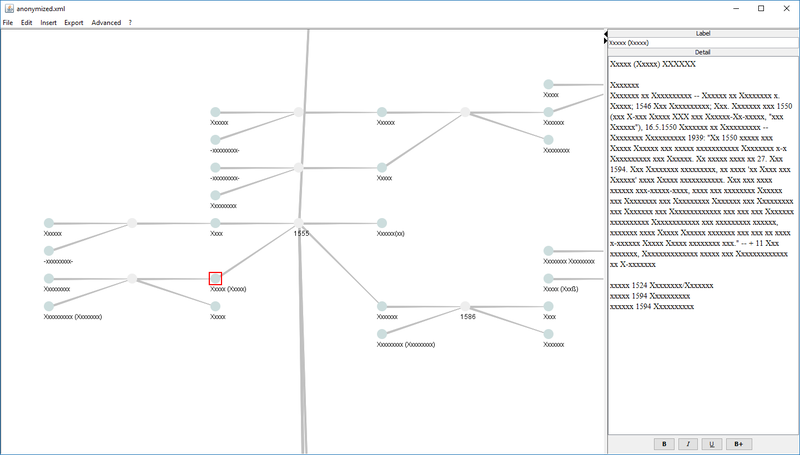 As a by-product, our Condensr now offers its optimized display also for family tree data. 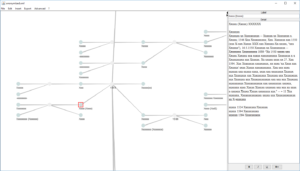 If your genealogical application allows export into the standard format of Gedcom 6.0 XML, you can import the entire set into our proven split pane view. No need to leave out any family members — as with tree views or hour-glass views — and still keep all details and notes in sight. Here is a screenshot of my own family data, just anonymized (with the corresponding function from the Advanced menu).